Did 17.2 destroy you? Did you have an oddly hard time with those lunges? 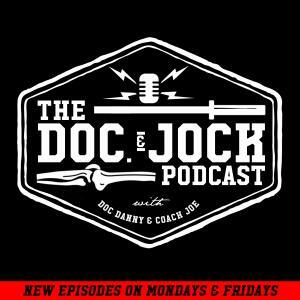 On episode 169 of the Doc and Jock Podcast Doc Danny sits down to talk about 2 diagnostic tests you can do to figure out why your lunge may have been so weak during this year's CrossFit Games Open. We hope this helps gang. If it does PLEASE go leave us an iTunes review. If you think this is dumb, we also appreciate constructive criticism. Especially if it's funny. Remember gang: if you have a body, you're an athlete.